Search our Best Attorneys by using at least one of the fields below. Alvaro De La Calle is a Greensboro, North Carolina attorney, better known by colleagues and friends as Al Calle. He is a native of Lima, Peru. 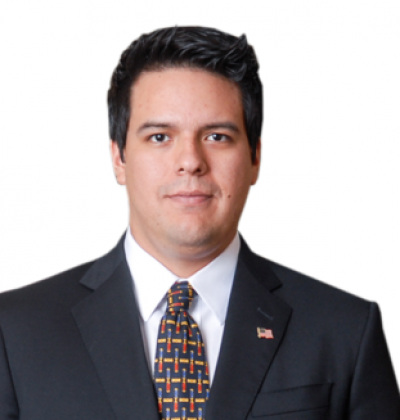 Attorney Calle immigrated to the United States, alongside his family, when he was a child. He is the youngest of three siblings. Al attended high school at Northwest Guilford, university at Guilford College and law school at Dayton Law in Ohio and Elon Law in North Carolina. Al has spent more than two decades living in Greensboro and considers himself a native of this city. He has seen the gate city transform tremendously in over twenty years and truly enjoys being a Greensboro lawyer. During his time at Guilford College, Al studied Criminal Justice and Philosophy, receiving two bachelor’s degrees. He then attended law school at Dayton Law, where he was voted Class President, and subsequently Elon Law, where he was voted to numerous SBA leadership positions. Al is a true bilingual NC lawyer, reading, writing and speaking both Spanish and English at a professional level. This skill has been of tremendous value for the growth of his NC law firm, Calle Law, by eliminating the need for translators and avoiding the all too common issue of statements being lost in translation. Furthermore, Al holds dual citizenship with Peru and the United States. In 2014, Al was honored as one of only 3% of practicing attorneys in North Carolina who were elected onto the prestigious Business North Carolina Legal Elite list. Al was elected by more than 20,000 licensed North Carolina attorneys to become a member of the Young Guns category, the best attorneys in North Carolina under forty. 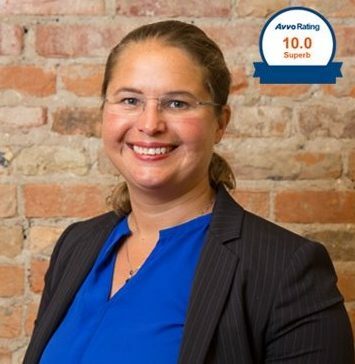 Al placed in the Top Ten Best Attorneys for this category in 2014 and was only one of two attorneys in the top ten list who owns their law firm. In 2015, Al was voted by his peers, more than 22,000 licensed and practicing North Carolina attorneys, to become the Legal Elite Young Guns Winner: the Best Attorney in North Carolina under forty. Al was also recently honored at the national level and was inducted into the prestigious National Association of Distinguished Counsel (“NADC”) as a member of the 2015 Top One Percent. In August of 2015, the American Institute of Personal Injury Attorneys awarded Al the highly distinguished 2015 Client Satisfaction Award, recognizing Al as one of the Top 10 Best in the field of Personal Injury Law based on the positive feedback received from Al’s personal injury clients. The American Institute of Personal Injury Attorneys grants these awards carefully to only 10 attorneys in each state with the intention of recognizing excellence in order to help clients make wise decisions. In September of 2015, the American Academy of Trial Attorneys honored Al with the North Carolina Premier 100 Designation for Civil Law. There are over 1.2 million attorneys in the United States. Less than 1% are selected to receive the American Academy of Trial Attorneys Premier 100 designation. In October of 2015, the American Institute of Personal Injury Attorneys awarded Al’s law firm, Calle Law, PLLC the highly distinguished 2015 Client Satisfaction Award, recognizing Calle Law, PLLC as one of the Top 10 Best North Carolina Law Firms in the field of Personal Injury Law based on the positive feedback received from the law firm’s personal injury clients. The American Institute of Personal Injury Attorneys grants these awards carefully to only 10 law firm’s in each state with the intention of recognizing excellence in a law firm team setting in order to help clients make wise decisions. Best Attorneys of America shared a photo. We are one of the most celebrated and respected groups of attorneys in the country. Membership is extremely selective, carefully screened and limited to the most qualified and accomplished attorneys in the United States. © 2019 Copyright Best Attorneys of America, LLC All rights reserved. ® A Registered Trademark of Best Attorneys of America, LLC.